Genes are the latest trend in nutrition, at least going by the burgeoning legion of Internet companies offering diets tailored to our genetic make-up. These services are relatively affordable and simple to use. Fees are typically around 100 euros, and all you need to do is spit into a tube, mail it back and log on a website a few days later. Some websites include remote assistance by certified nutritionists. Genetic nutrition companies insist upon the benefits of their approach. The scientific foundation for DNA-tailored diets comes from nutritional genomics, or nutrigenomics, a major field of research that looks at the interactions between genes, food, metabolism and health. Recent studies have found at least 140 locations in the human genome involved in controlling fat and body weight. 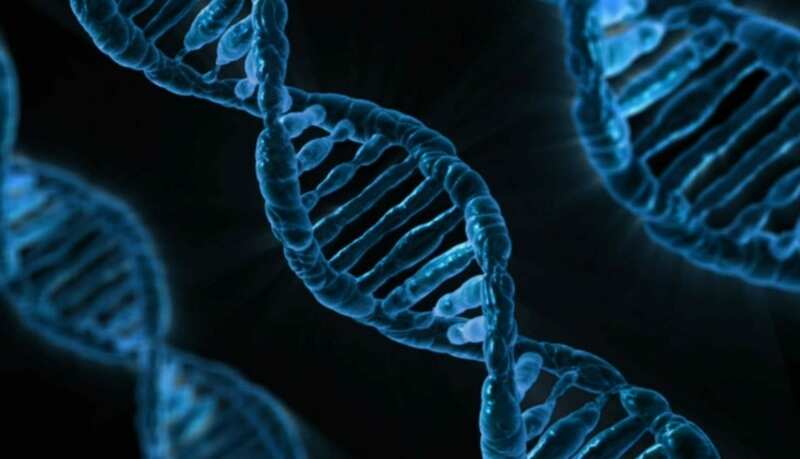 However, there is scant scientific evidence to support the use of DNA in dietary practice, because very few studies have looked specifically into the matter. “To get reliable answers, you need to do clinical trials with hundreds of people over a few years, with costs that are in the millions of euros, which is out of reach for most of the start-ups in this business,” says John Mathers, a Professor of Human Nutrition at Newcastle University. Mathers was a principal investigator in the world’s largest trial in nutrigenomics, the research project Food4Me, which involved 500 volunteers in Europe. Some received standard dietary recommendations; others followed a more personalised programme, and a third group was given personalised advice that took into account the results of DNA tests. Six months later, all those receiving personalised advice were eating significantly healthier than those on a standard diet. However, there was no difference between those in the group who looked at their DNA and those who didn’t. Mathers argues that the personalised approach, regardless of DNA information, was the key to success. “If you ask me whether it’s worth including the DNA tests in nutritional practice, my answer is: we are not there yet,” he says. His conclusions are similar to those of the Academy of Nutrition and Dietetics, the world’s largest organisation of nutrition professionals. A position paper from the Academy affirmed that “the use of nutrigenetic testing to provide dietary advice is not ready for routine dietetics practice”. The Food4Me results have been submitted for publication to a peer-reviewed journal, says Mathers. However, two other studies frequently cited by nutrigenomic companies recognized the advantage of genetically-tailored diets. In a trial at the University of Toronto published in 2014, people who received DNA-tailored advice lowered their sodium consumption significantly more than those on a standard sodium-sparing diet. In the same year, a group at the Burlo Garofolo Hospital in Italy recruited 191 obese people and found that those using a DNA-matched diet lost 33 percent more weight than those who were assigned to a standard calorie-counting group. Researchers presented their findings at a scientific meeting and are now verifying the results on larger groups, says Paolo Gasparini, who co-authored the study. Given the results of Food4Me however, it’s difficult to tell whether the benefit in these two trials came from personalising the diet or actually from including DNA-based advice. “There is a need for larger studies, yet I think there is an added value for using genetic information in diets,” says Gasparini, who is a geneticist at the Burlo Garofalo Hospital and the University of Trieste and a consultant for a nutrigenomic startup. He draws attention to something often neglected in nutrition: our palate. Gasparini and his team travelled for two years in Europe and along the Silk Road in Asia gathering information about the food preferences of 4,000 people together with samples of their DNA. The study revealed a series of genetic variations involved in the liking/disliking of a dozen foods, including artichokes, bacon, broccoli, coffee, dark chocolate and white wine. According to Gasparini, a better understanding of these genes would help us to design more successful personalised diets because they would be more of a hit with our taste buds. “A major hurdle in diets is that if they are not palatable, people don’t follow them in the long run,” he says. More and more studies are linking individual variations in the DNA to differences in how we process and metabolise food; yet we still lack basic understanding about the genetics of obesity and how a diet interacts with our genome. Mathers and Gasparini agree that this lack of knowledge is the biggest bottleneck in the practical applications of nutrigenomics. Future studies, extended to the whole genome instead of single genes, will be essential, says Mathers. Gasparini stresses that DNA tests may be useful only if they are part of a comprehensive, personalised nutritional program: “A diet based only on DNA is the equivalent of a horoscope,” he cautions.